Avoid Costly State and Federal Fines. FILE A TIER II BY MARCH 1. 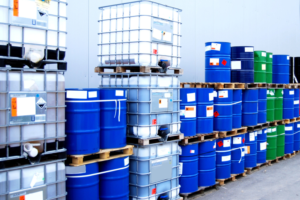 Do you have a 55 gallon drum of chemicals, product or hazardous substance? Most companies do and yet those companies are not in compliance with the Emergency Planning and Community Right-to-Know Act. Tier II reporting affects almost all facilities that use, manufacture, or store hazardous chemicals and materials. 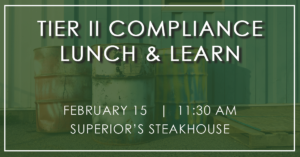 SRP Environmental Consultant, Doug Grant, EI, will explain the changes to the Right to Know Act and simplify TIER II reporting requirements for Louisiana and Texas. Plus, SRP is paying for lunch! How Do I Know If I Need a TIER II? How Do I Submit a TIER II in Compliance with the Louisiana State Police? How Do Regulation Changes Affect Me? What Else Can I Do to Maintain Environmental Compliance?